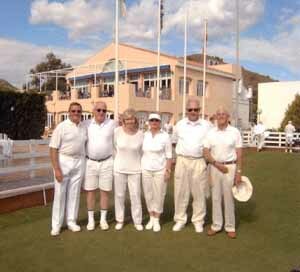 La Manga Bowls Club is just one of many sporting facilities that make up La Manga Club. Our 5-star hotel (Hyatt Regency La Manga Principe Felipe), another 4-star hotel being completed Las Lomas Apartments . There are now approx 1900 privately owned properties. 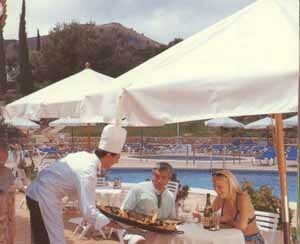 P&O facilities incl infrastructure managed by affiliated Inmogolf S.A. La Manga Club is embedded in a horseshoe shaped valley of over 1,500 acres distant approx. 5 miles from the Mar Menor (huge seawater lagoon) separated from the Mediterranean Sea by a 15 miles long sandbank now turned into a major Spanish holiday area and known here as La Manga Strip. Right on the exit from the motorway there is the village of Los Belones. The nearest town Cartagena is 25 kms away, and the capital Murcia City approx 45 miles both connected by motorways. Membership: Admission fee 30 euros, annual fee 150 euros. No green fee for members. 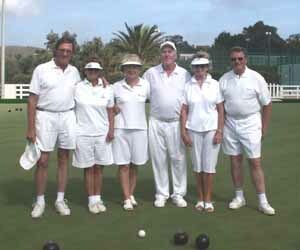 Members must be an owner in Manga Club but we welcome touring teams and visitors who can rent a rink and bowls. Locate the section of the AP7 motorway between Torrevieja and Cartagena, travelling south. On passing the San Javier turnoff, look out for signs to La Manga. Turn off at the La Manga exit and travel along the MU312. Turn off at the Los Belones exit. Exit from the roundabout at the Club La Manga sign. Travelling along a tree lined road look for the Club La Manga entrance on the left, leading to the main security gate. Note: you need to have a pre-arranged arrangement with a member of the Club Manga, before visiting.